Paul is responsible for VIZIYA‘s product development, service and support teams. Paul’s engineering and enterprise software experience guides the delivery team and makes sure our products exceed expectations. Prior to joining VIZIYA, Paul started his career in manufacturing engineering and industrial automation. In 1992 Paul helped start Changepoint Corporation and was part of the management team that grew Changepoint into an enterprise software company with staff of 185 and annual revenues of over $30 million. Changepoint was acquired by Compuware Corporation in 2004. In 2006 Paul became COO of MedShare transforming the company from a services firm to a software product company in the home health care market. Most recently Paul was a partner at investment firm Hewick Research Inc., where he advised companies in a wide range of markets including human capital management, identity management, and clean-tech. 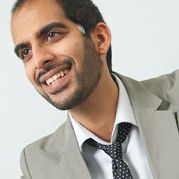 Paul is a professional engineer, has an MBA and is on the board of the Golden Horseshoe Venture Forum. This entry was posted in Uncategorized on May 21, 2014 by kevinbrowne. There is a great line-up of speakers and an after party. The event is free for students and $20 for professionals (proceeds spent on catering, with the remainder going to charity). 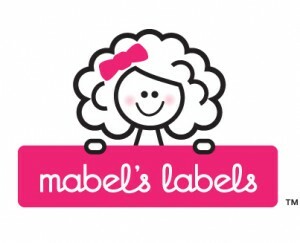 We’ll have a keynote by Mabel’s Labels at this DemoCamp. 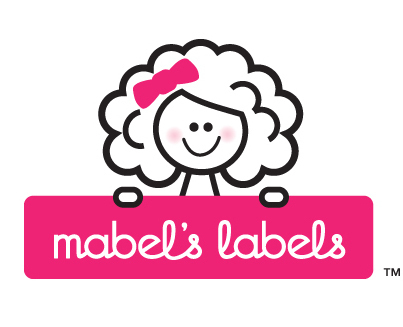 Mabel’s Labels is a wonderful Hamilton success story, over the last 10 years the company has grown from 4 founders operating out of a basement to 40+ employees in a 14,000 sqaure foot location. 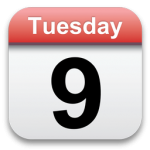 The Niagara region’s first ever DemoCamp! The Front Cafe & Eatery in Thorold is conveniently located just a few minutes from Brock University and the Pen Centre shopping mall. The event is free and you do not need to demo to attend. This entry was posted in Uncategorized on August 27, 2012 by kevinbrowne. The inaugural DemoCampHamilton took place Wednesday March 2nd, 2011 at Slainte Irish Pub in downtown Hamilton. A packed audience consisting mainly of developers, entrepreneurs and students as well as an excellent keynote presentation by Ali Asaria and demos by CartaNova, AlboDigital, PoolingPeople.ca, FluidMedia and “mad inventor” Dan Zen made the event a success. Sponsors Fluid Media Inc. and Innovation Factory deserve a special thanks for their support and sponsorship of the event. The night started off with a great keynote speech by Ali Asaria of Well.ca which gave the audience insight into life inside the successful online health and beauty store. Andrew Holden and Rob Porter of CartaNova showed us Weever – an upcoming service that will quickly grab data from a website to generate HTML5 touch-interface “web apps” of said website for mobile devices on Android, iOS, Blackberry. Magda Lutcher of AlboDigital showed us their Content Management System for end users and graphic designers. Hannah McKinnon showed us PoolingPeople.ca, a new online business to business community that brings overstaffed and understaffed companies together, enabling them to directly lend / borrow / permanently transfer employees without an intermediary. President of Fluid Media Justin Hogeterp showed us CoffeeTablet – an iPad app for creating and sharing “Coffeetable” books from photos and video. The “mad inventor” Dan Zen showed us Opartica, an online Op Art tool that lets people create and fly through their op art in 3D. Thanks again to everyone for coming out, we’ll be doing this again, and the tentative plan is to take this to Mohawk College and McMaster University by the end of the year. This entry was posted in Uncategorized on March 5, 2011 by kevinbrowne. PHP Quebec & ConFoo are hosting a Career DemoCamp on Wednesday, December 2,2009 in Montreal. It’s a very interesting concept, the goal is to introduce local developers to startups and other web projects for the purpose of employment. Apparently, Microsoft is paying for the space as part of TechDays Montreal and Joey, bless his heart, is giving back to the community. DemoCamp has always been a great way for local companies to raise their profile in the development community. The goal to share what you’ve been working on with a larger group of individuals to get feedback, to raise awareness, to raise funding, to hire new employees, to get new people building on your API, etc. It’s great to see Joey and Jean-Luc Sans Cartier doing something different to engage the community in Montreal. This entry was posted in Montreal, Uncategorized and tagged confoo, democamp, democampmontreal, montreal, phug, startups on November 17, 2009 by davidcrow. There were fantastic submissions. Here is who is presenting for DemoCampToronto17. We will demo the SceneCaster 3D solution with our recently announced SceneWeaver technology that allows you to view inter linked 3D scenes on *ANY* XHTML ready device. If you have native 3D support available, we will take advantage of it. But you don’t need to be on a high end gaming PC to work with SceneCaster. We will show the solution working on an iPod Touch to demonstrate that we have “3D anywhere” technology available today. PlanetEye is a new online travel guide with a difference. We’re combining beautiful travel photographs, mapping technology and advice from locals and travelers to give people a real sense of destinations around the world. AskItOnline is a “web 2.0″ online service that allows you to easily create and deploy your surveys online. Using a drag ‘n drop interface along with AJAX and other client-side code, creating a survey has never been easier! GigPark is a way to find services with the help of your friends. TorCampers have already recommended their favourite web designers, blog hosting companies, startup lawyers, commercial real estate agents, office cleaners, accountants, and logo designers. We’re going to show everyone how they can use GigPark to find the service providers they need to help run their startups (and their lives). he Ontario Council of Agencies Serving Immigrants (OCASI) and Partnership Platform, which acts a catalyst between non-profits and the IT sector, have partnered to explore more intuitive and user-friendly approaches to locating services and organizations of interest in Ontario’s neighbourhoods.The main objective for the project is to amalgamate both privately and publicly available data from various online sources, to develop a centralized database of services and organizations of interest to newcomers to Ontario’s neighbourhoods in order to provide users with an interactive visual representation of desired services mapped to a specified region. The potential for expansion of services and customization in the future is huge! A number of non-profit organizations have already expressed interest in using this application for their own audience.Our intention is to get feedback from the tech community to improve our solution and raise awareness of the impact of technology on the non-profit sector.This innovative initiative is a great way of getting both the non-profit sector and the tech community to come together to improve quality of life. http://www.web-strategist.com/blog/2007/11/01/answers-are-in-whats-the-future-of-communciations/With respect to selecting this talk, I think that I can provide a balanced perspective on some unique services possibilities and opportunities that the Toronto-area technology and media community can lead in defining, developing and deploying here and around the world.In turn, I would hope that the community would get some additional insights as to what we can do locally that is unique and original to our circumstances, conditions and location. This entry was posted in Uncategorized and tagged democamp, democamptoronto17, geoff+norton, gigpark, mikebeltzner, monoproject, photojunkie, planeteye, scenecaster, tompurves, Toronto on February 22, 2008 by davidcrow.